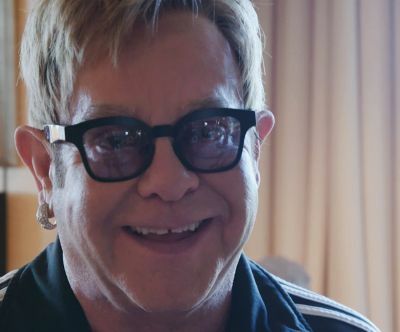 On May 28, Elton John was the special guest at Kurazh Bazar festival in Kyiv, Ukraine. 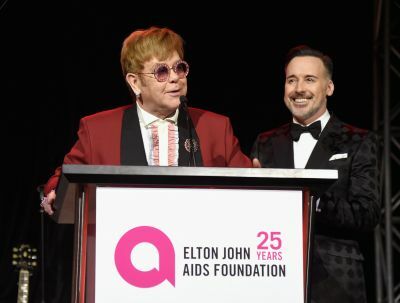 Elton visited a photo exhibition celebrating the 11-year collaboration between the Elton John AIDS Foundation and the Elena Pinchuk Foundation. During his visit, he met with programmes that were set up with EJAF's help to fight AIDS in Ukraine, as well as speaking with some of the beneficiaries of these projects. He also spoke on the radio, offering words of love to Ukraine and urging people to keep up the fight against AIDS. During the event 450,000 UAH was raised to support an HIV Educational Center for Youth in Kyiv, which is under construction by the Elena Pinchuk Foundation. 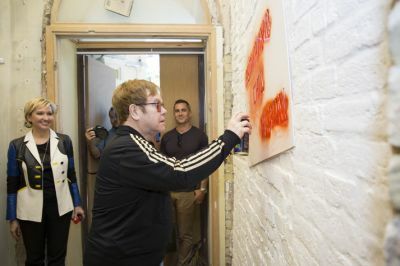 Elton stopped at the construction site and left his mark on the wall together with David Furnish and Elena Pinchuk. Stencilled on the wall was the phrase Elton spoke at his famous 2007 concert in Kyiv: "Let's fight AIDS together!" 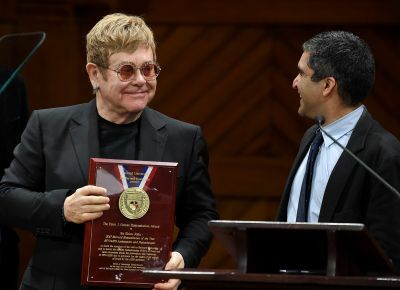 Elton also visited Yerevan to find out more about Armenia's AIDS epidemic and see how the Elton John AIDS Foundation can help. 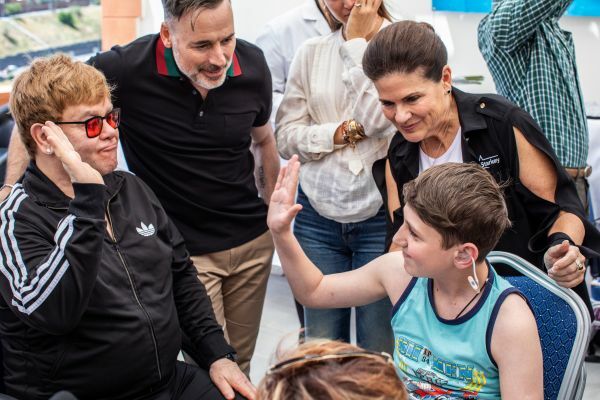 While he was there, he also joined a Starkey Hearing Foundation clinic that fitted hundreds of children with free hearing aids.